Once again, information is entered and viewed on screen layouts designed for the computer screen, then printed in reports designed for paper, as shown in the reports section. 1. 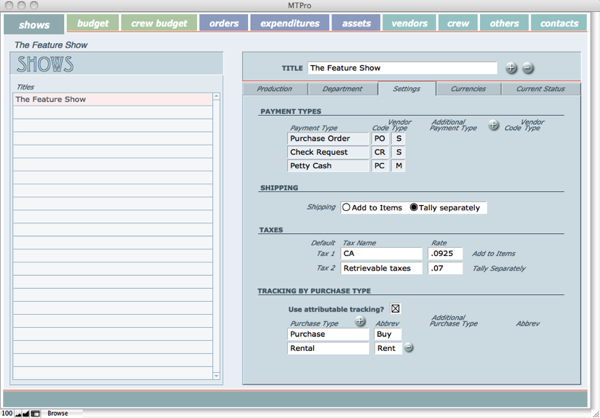 The program opens to the Shows layout where shows are created, deleted and show settings such as custom payment types and currencies are entered.